Do your hips, head, shoulders and ankles line up? Imagine two lines going from the very top of your head on the sides down to between your feet: these lines should be straight and parallel to each other. 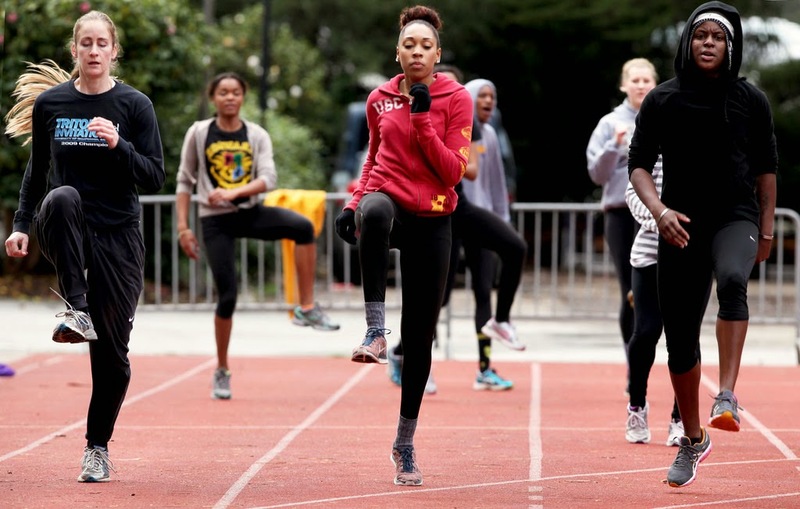 Head, shoulders, hips, knees and should ankles line up, the muscles should be loose and in a neutral position. When standing in a good posture, there should not be any kind of tension in any muscle or joint. The weight of your body should be evenly distributed between your feet and on each foot between the forefoot and the heel. The feet should be hip width appart so that your legs form two vertical pillars and the feet should be parallel to each other. The legs should be straight from the ankle to the hip, but not locked at the knee. The knees should be relaxed to avoid hyperextension (see drawing on the left). 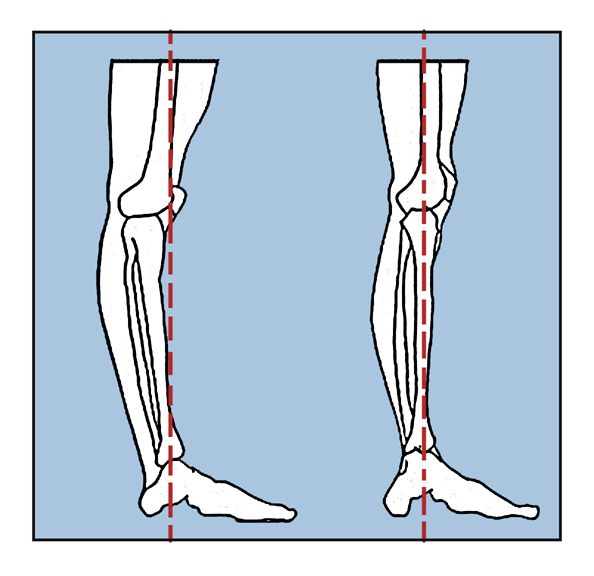 The knees should also be the same distance appart as the feet when standing with the feet pointing straight ahead. 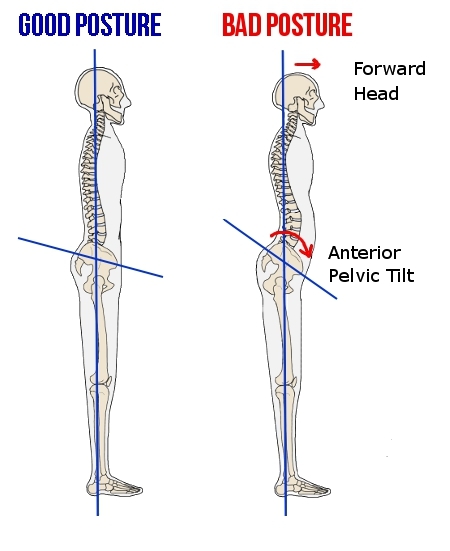 Your pelvis should be in neutral position whether standing, sitting or riding a horse (see picture above). Imagine your pelvis as a bucket filled with water to the top. When it is held parallel to the ground (in neutral position), no water would drop, but if it is in an anterior tilt (with your lower back arched and belly sticking out) the water would drop in front of your body. If it is in a posterior tilt (with your lower back flat and belly in), then the water would drop in the back. When standing with good posture neither your bottom, nor your belly should stick out. Stand tall with your chest up and take a deep breath in lifting your ribs away from your ribs, then relax, but keep that feeling of being pulled up by a string at the top of your head. Your shoulder should be low, away from your ears and back. You do not need to squeeze your shoulder blades together, just to keep your upper-back flat. When your arms are let hanging, they should be at your sides, not in front of you, and the palms of your hands should be facing each other. From the side, your ears should be above the middle of your shoulders, your jaw should be relaxed and parallel to the ground, and your neck slightly arched back. When standing with your back against a wall, the back of your head, your shoulders and your bottom should be touching the wall. Practicing good posture is rarely enough to correct habits that were years in the making. You might be able to hold that posture for a little while, but you will soon tire because of muscular tightness and weaknesses that do not allow you to hold that posture with ease. In the next post, I will discuss what should be strengthened and what should be stretched in order to correct the most common postural issues. 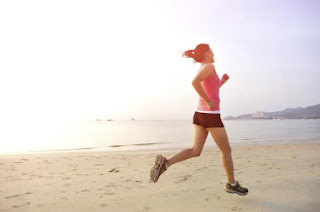 Interested in working on your posture to become a better runner and more? Ready 2 Run Group Training Sessions in Vancouver and North Vancouver put a lot of emphasis on postural training.